So here it is. My favorite part is that the editors let me get away with using a cheesy pun in the title of the post. My least favorite part is receiving trolling from strangers on Twitter about Planned Parenthood. That’s an unfortunate reality of being a woman in this day and age: to have a body and to make choices for it is to be constantly called to defend it to strangers. I will not engage. 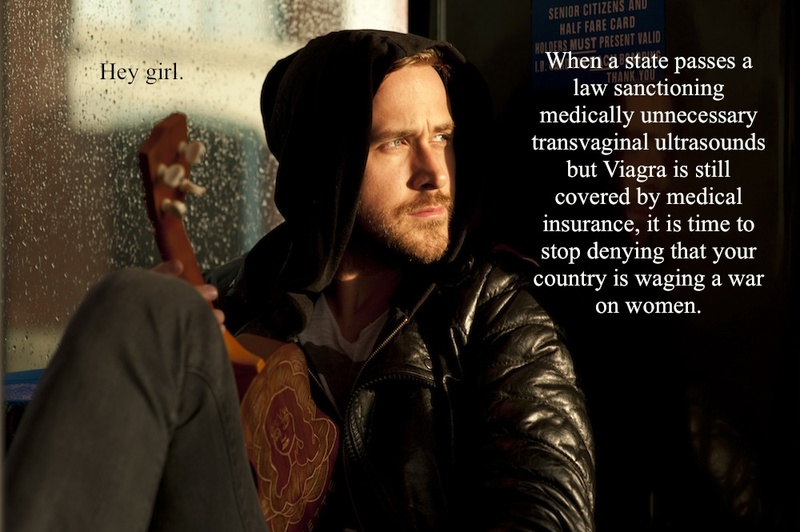 Courtesy of the Feminist Ryan Gosling tumblr.